A moment later Aunt Helen walked into the kitchen. As if on cue, Libby turned back to the dishes, scrubbing them with vigor and dismissing our conversation altogether. I couldn’t blame her. I supposed it wouldn’t do her good to let Aunt Helen hear her gossiping about the household, if even to me. Yet, I felt I had as much right as anyone to know what had gone on with Vanessa before she left and what had chased her away. I had the innate feeling that Vanessa hadn’t left to begin a shiny new life on her own, but had done so because she was running from the oppression of this house. Aunt Helen had not yet noticed my presence at the table. She came bearing Grandpa’s bed tray. I watched as she delicately arranged his coffee and a plate of eggs and biscuits, grandpa had never been much on sausage. I smiled, thinking to myself that some things never change. Except Helen. In the years since I’d be away, her gray had spread from a sprinkling around her temples to a full head of salt and pepper. She still swept it into a bun atop her head, so tight it stretched away the wrinkles of her forehead. Time had not been kind to her injury either, she limped worse than I’d ever seen, scraping the cane along with every step. It was a wonder she could even make it up a set of stairs in such a condition. I couldn’t help but mention so. She turned to me, obvious surprise registering in her face. “Well look at you, child! Why, if I hadn’t known it was you…you don’t even look like that little girl that left here nine years ago!” Then, as if minding her proper manners, “I’d come pinch those cheeks like I used to if my hands weren’t so full, but my how nice it is to have you back, my dear. This old house has missed you so.” She smiled warmly. I rose to take the tray, but she backed away. “I’ll have none of that, dear,” she said, jutting her bottom lip out stubbornly as she always did when making a point. “I’ve been doing this since dad took sick, and besides I’m quite used to the stairs by now. I’ll make it just fine on my own like I always do. You finish your breakfast now,” she looked me up and down then. “You’re as frail as ever, looks as if you could use a second helping! She paused at the foot of the stairs and looked back into the kitchen, as if trying to mind her manners and pay me a proper homecoming. “Of course, I hope we get a chance to sit a spell together soon, we have a lot to catch up on!” And with that she went limping up the stairs, cane in one hand and a bed tray perched upon the open palm of the other. I quickly cleared the table for Libby and carried the dirty dishes to the sink. I would have offered to wash them, except she shooed me away, saying something about how she liked to earn her pay. I wondered for a moment just how my grandparents were able to pay hired help, but noted that they’d always been thrifty and probably had quite a bit of savings in their old age. I silently scolded myself, knowing it was none of my business either way. Before returning to my room, I paused to look out screen door once more. The young man was gone. Where ever he went, it appeared Shadow had followed him. Neither one were anywhere in sight. I was terribly curious as to the identity of the young man, but decided I’d ask Libby later. My lack of sleep the night before was beginning to wear on me. I wished only to take a nap. As I turned for the stairs, I noticed my luggage still sitting in the foyer by the front door and was struggling to arrange it in both arms when Libby interrupted me, demanding I put it down at once. She said she’d have someone bring it up, and for all my protesting she refused to let me carry the heavy bags upstairs. As I climbed the stairs, I vaguely wondered how she knew I was still downstairs in the foyer. Had she been watching me, waiting for me to return to my room? Was there a reason she wanted me to leave my luggage, perhaps she wanted to look through it? I shook the thoughts away, silently scolding myself for being so suspicious. So far Libby’s had been the friendliest welcome I’d received in that grand old ramshackle house. 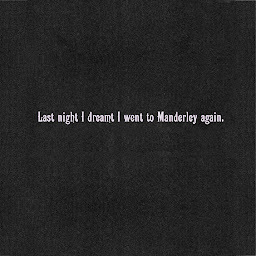 And for all I knew, last night could have been a dream, except the bruise on my backside was very real. Stay tuned for part 5! New segments added every Monday and Thursday! 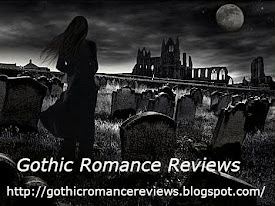 I created this blog for the purpose of reviewing gothic romance books I read. Though I am particularly fond of the original vintage gothics, I also will be reading and reviewing contemporary gothics. Here and there you might also find reviews and articles about movies, short stories, and video games with a gothic theme. 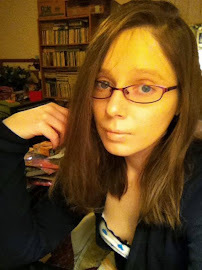 I hope to continue bringing to you interviews, news, and updates all about your favorite genre: gothic romance. So do check back often! 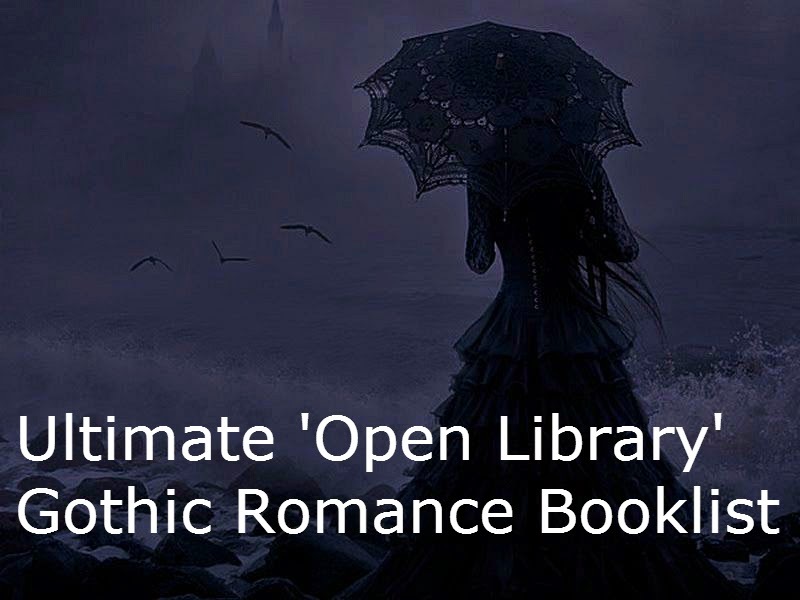 I'd be honored to read and review your book if you are a gothic romance writer! If you would like to send me a copy of your book for a review, please refer to the 'submit review' link above. A Gothic Romance Novella by Stacy Lynn Mar. Read the 6-part mini-series by clicking the pic! (Stacy) I am a psychologist and aspiring poet. I dabble in digital and collage art. But what I love to do most is cuddle up with a great book (especially my beloved gothic romances!) and a tasty cup of coffee (iced, hot, latte...it's an unhealthy obsession, so no huge preferences are required). I enjoy old b horror movies, small town fairs and vintage things. When I'm not reading you can find me blogging, writing poetry, honing my photoshop skills, watching movies and spending quality time with my family. Click my pic to visit my personal blog! 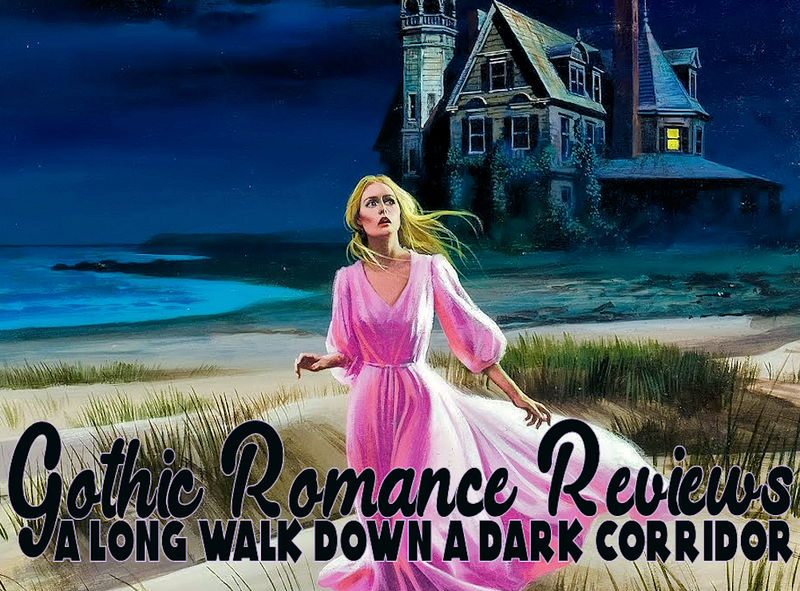 Reading Radar: I find great gothic romance books, and I bring that news to you! Author Spotlight: I find the lives of authors fascinating. I love trying do draw parallels from their 'real life.' Perhaps trying to decipher the origins of their dark, creative whims. Join me on these weekly posts for author bios and more! 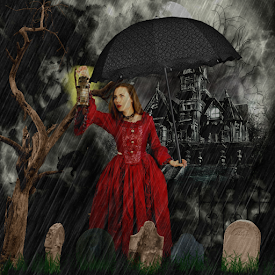 Mini Blog-Series: Short stories and short novellas of the gothic genre. Mostly contributed from readers/writers like yourself and some written by yours truly. 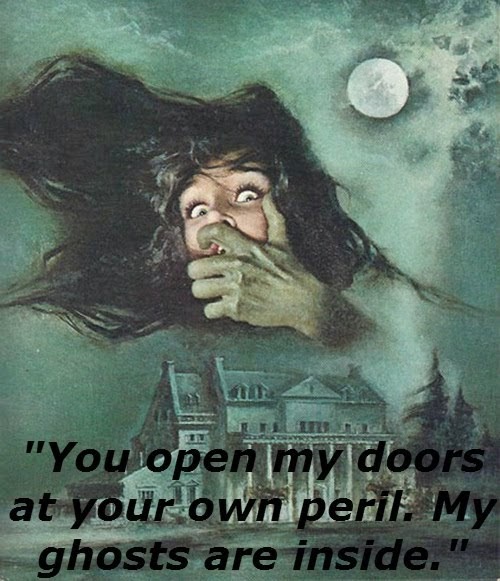 The Silver Scream: Movies and TV related Gothic Romance reviews/news. Round-Up Wednesday: When I don't want to dedicate a whole post to individual books, misc. ramblings, etc., I will post everything from that week here. 'Off My Shelf': Occasionally I'll scan/take pictures of some old vintage titles and share them to the site with full back cover synopsis. 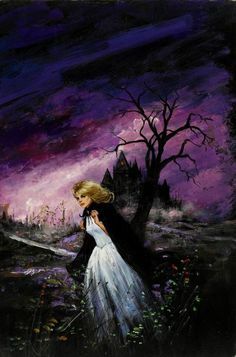 This blog is about renewing interest in the VINTAGE gothic romance and keeping the spirit of these timeless books alive. Also many author interviews, book reviews with my personal ratings, occasional give-aways, digital art work and other ramblings by a gothic romance book hoarder! If you enjoy the blog or have had your books reviewed, I'd love for you to share this banner on your websites/blogs so that other's may find, and enjoy, this blog as well! Sharing a banner really goes a long way. Many thanks!! 5 Stars: Excellent, a definite must read! Couldn't put this one down! 4 Stars: Enjoyed and was able to finish quickly. 3 Stars: An okay read. Nothing spectacular. Good for a rainy day. 2 Stars: Very disappointing read and difficult to complete. 1 Star: I either begrudgingly completed or threw it out. Not worthy of your time! If you feel that your book falls beneath any of these categories, please see the 'submit request' link above for email address and specifics. I look forward to hearing from fellow gothic enthusiasts! Currently over 1,350 free e-books and growing! Click the pic to check it out! Reading Radar: 5 New Releases!